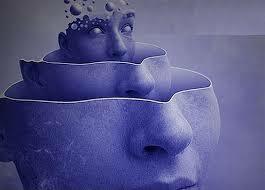 In my quest of understanding the mind I’m really intrigued on the link between the ego and the higher self. Eckhart Tolle explains that our ego’s strategies are only designed to get a strong sense of identity. I’ve been intrigued by that idea and decided to explore it for myself. As I described earlier on, I work with CBT both in my private life and in my professional practice. I am practising daily questioning my stories and I help my clients with questioning theirs. I must say the results are very encouraging. Anyway, back to the state of Being. It feels amazing. I find it hard to reach, let alone stay there, but the inner Peace and contentment I find when I am there is by far much more enjoyable than all the drama that used to be in my mind before. Which leads me to that question: what’s the core need for making stories? So yes, I did mention in a previous post, that the mind has got a natural tendency to look for answers as we get anxious in the face of uncertainty. This is the psychological reason behind making stories. Ok. But why do we believe in them? Why do we get so pulled into the drama even when we have the awareness it might not be true?! Coming back to Tolle’s explanation – the ego wants and needs a sense of identity. Our mind is overactive in order for us to feel we exist, it’s a way to feel we have an identity. “I think therefore I am” claimed my French friend Descartes. Fair enough. But what happens when I don’t think? When I’m contemplating and absorbed in a beautiful landscape or in a piece of art? Who am I then? and why would my ego feel it needs the stories in order to feel it exists? One explanation that came to me is because somehow we’ve learnt to associate our sense of identity with feeling strong emotions. You know how you really feel alive when your body pumps adrenaline? Whether it’s when you’re in love and feel the butterflies, or at the top of a mountain or bungie jumping? How often we hear people say in extreme situations “I’ve never felt more alive“? Could it simply be that we believe that in order to feel alive we need extreme sensations? That would explain a lot of people’s mid life crisis… 😛 And CBT does tell us that emotions come from our thoughts, our stories…so would those stories simply be a mean to feeling alive and connecting with our sense of self? So I listened to my stories in the past few weeks. And I asked myself “How are they serving my needs? what do I get from believing those stories?” one of the answer I found was a sense of security and safety. When I engaged in one of the story I was running in the past week, I found myself getting more secure as I felt more in control of a difficult situation. And that’s when it hit me. It’s as if the story I was running was giving me a sense of control in a situation where I did feel out of control. By elaborating plans and strategies, I came up with solutions, and that made me feel calmer because I knew I could handle the problem. And all this was to meet my need for security and safety. Then I looked at another story I was running recently in my personal life. Trying to mind read “him”, anticipate his reactions, make assumptions as to why he was saying and doing what he was saying and doing ; All this knowing perfectly well that I wouldn’t get any answers unless I asked. And what was the purpose of me making that story and engaging in it? To feel safe and secure emotionally. Ha. Now we’re talking. So both those stories were about meeting my core needs of safety and security. Financially, professionally and emotionally. And when I looked deeper, most of the stories I explored both in myself, my friends and my clients were about meeting the needs for feeling whole and complete, safe and secure, loved and accepted. And the light bulb moment happened. Because when I’m in that state of Being, I already feel all this. There’s no lack of, there’s no fear or insecurities. It’s just a sense of Peace that encompass all those needs. I feel safe. But it doesn’t come from someone’s actions, or from the happy outcome of a situation. I just feel it all by myself, from within. So what does having a strong sense of self or identity mean then? Is it simply to feel so safe and secure within one self, that our core needs are met? Not met by external circumstances, not met even concretely by actions or rewards – but by a sense of them being met. By an inner deep strong conviction that no matter what, we’re ok. No matter what, we’re safe. Next Next post: How can you change?